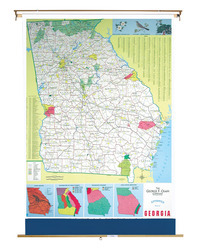 The Nystrom Laminated Georgia State Map, measuring 51 x 68 inches, is ideal for grades 4 to 12 and can be easily mounted on a spring roller. 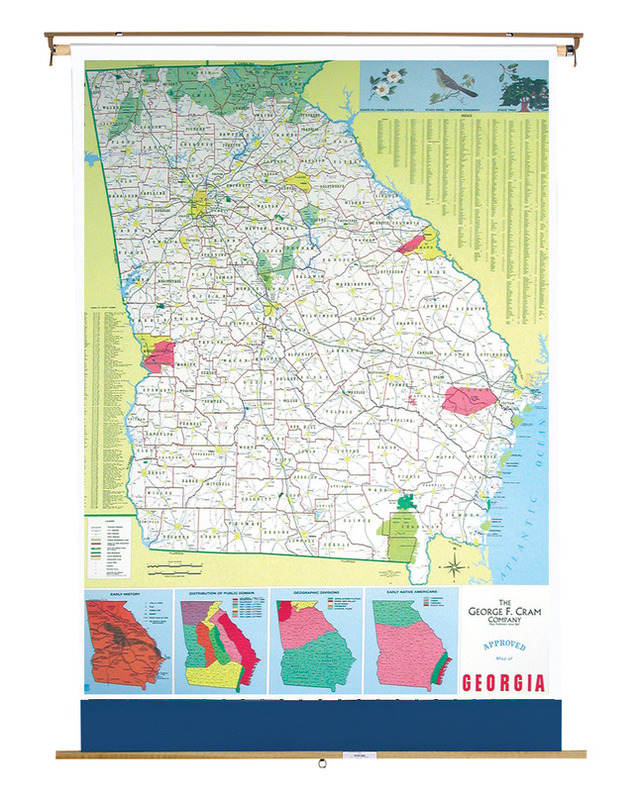 Convenient, easy to read state map is a useful classroom resource that can be used to teach historical divisions of land, regional divisions, economic statistics, government and state geography. Displays state lines with neighboring states labeled, location on the US map, counties, cities, rivers and more!